I fabricated these simple earrings from sterling silver. 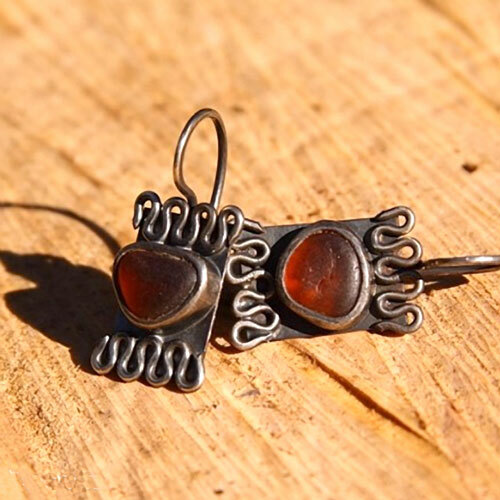 They feature brown Santa Cruz, California sea glass set in a hammered sterling silver bezel accented by wavy seas. I gave them a liver of sulfur patina to give them antique finish with a slight rouge and polishing paper buff.